Also worth noting, if you haven’t done so already, install Service Pack 1 http://support2.microsoft.com/kb/2880556 first if installing the January 2016 CU. SP2 is a pre-requisite for the Office 2010 January 2016 updates. 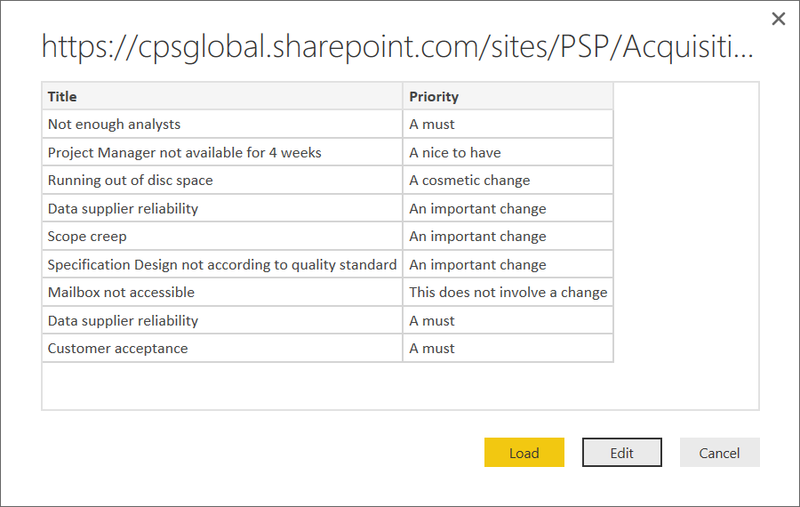 As you may know or not know, creating a report that contains data from a custom SharePoint list from all Project sites, for example a Lesson Learned list or Change list is not that simple. 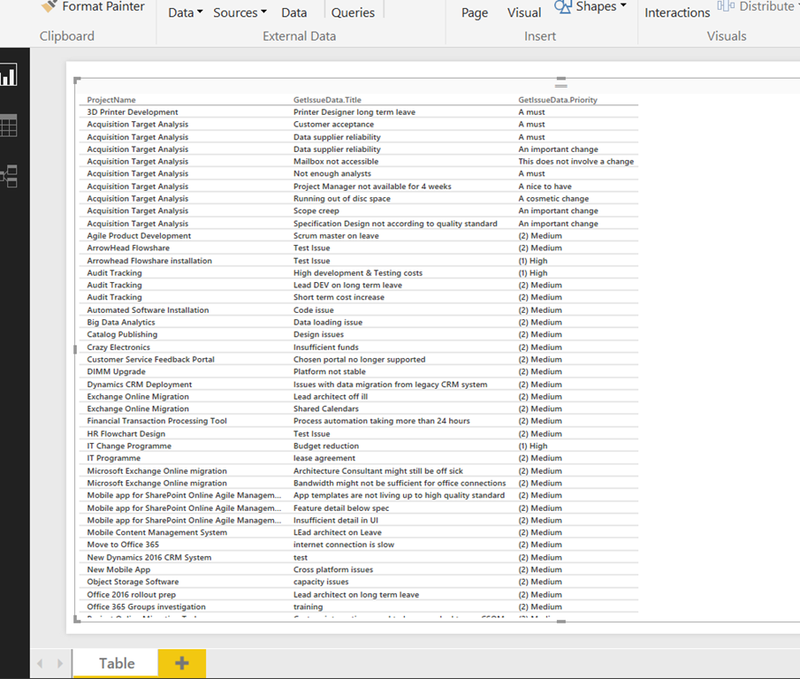 The default lists for Issues and Risks are simple as the data is synchronised to the reporting schema and available in the Project OData reporting API. 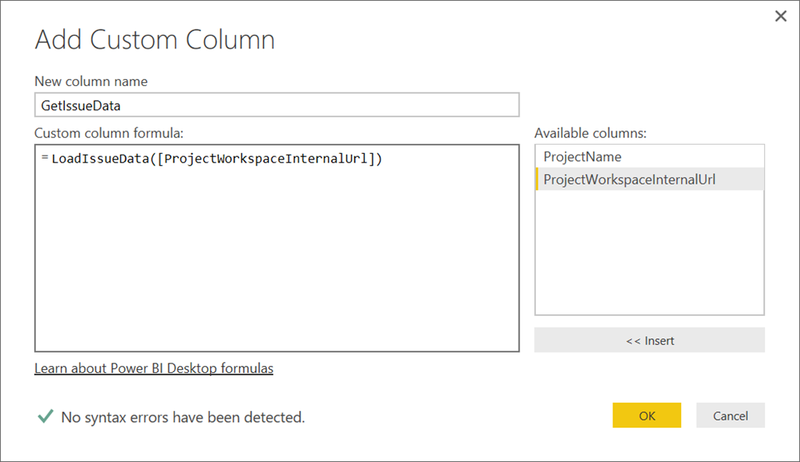 In this blog post I will show you a simple example using Power Query to access the list data and create a simple cross project report consuming data from the SharePoint list APIs on the Project Sites. In this example I am only getting the item title and priority from the Issues list. To use a different list update GetByTitle(‘Issues’) with the name of your list and then update the Select to include the correct columns. Click Edit to load the query editor. 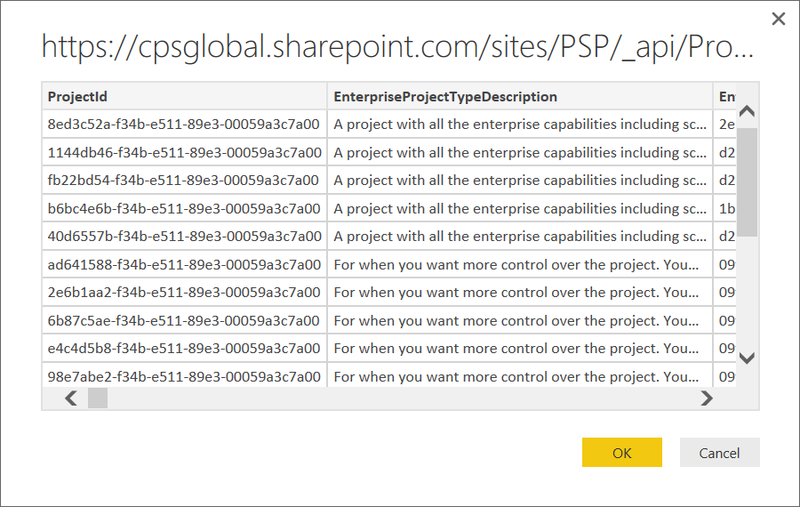 Depending on the number of projects / project sites the data load might take a while as it has to traverse all of the project sites and get the SharePoint data using the list REST APIs. Each Project requires a separate REST call to get the list data from the associated Project Site. 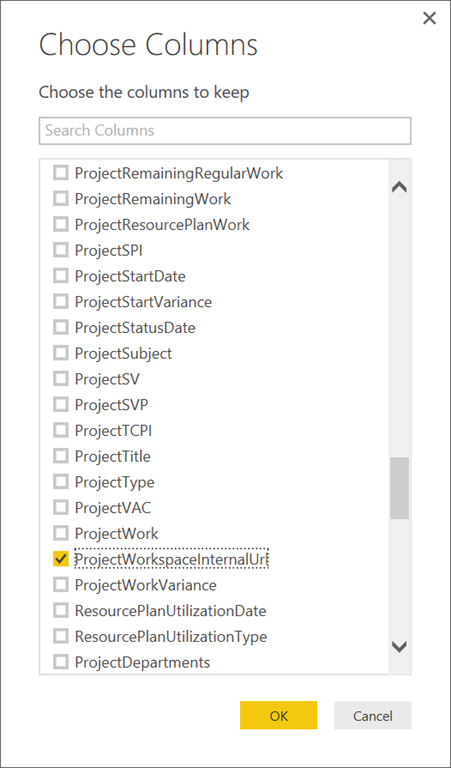 Hopefully that will open up your reporting options for getting data from those custom SharePoint lists or the Project sites or even if you want to use the default Issues and Risks list but have custom columns on those lists.